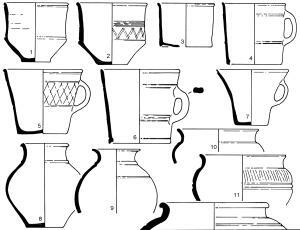 This post is intended for the beginner interested in Roman pottery as an outline to pottery forms and fabrics most widely distributed in Roman Britain. 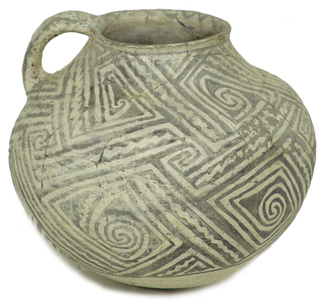 Pottery is undoubtedly the most common archaeological material surviving on Roman sites. 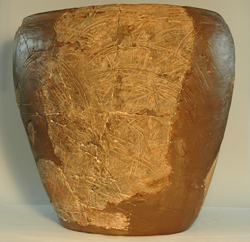 In most cases organic material will decay and metals corode which is why archaeologists frequently use fragments of pottery as an aid to help them date their sites. 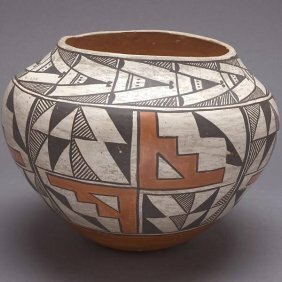 The study of pottery is important as a chronological indicator when other dateable objects such as coins are lacking,it can also provide information about trade communications. 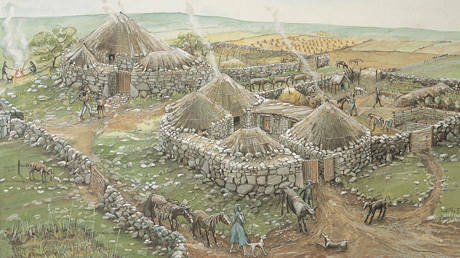 When the roman army invaded Britain in 43 A.D. they found a number of potting traditions already established.On the one hand,the inhabitants particularly,Kent,Essex and Hertfordshire,who had close links with the continent, were importing wheel thrown pottery and distributing it on a large scale,on the other hand, pottery was handmade mostly on a small scale and, with a few exceptions,usually sold localy. 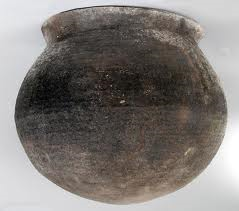 At first the Romans brought some of their own pottery with them in order to encourage native potters to supply them,evidence also suggests that some Gallic potters came over to Britain to take advantage of the situation. 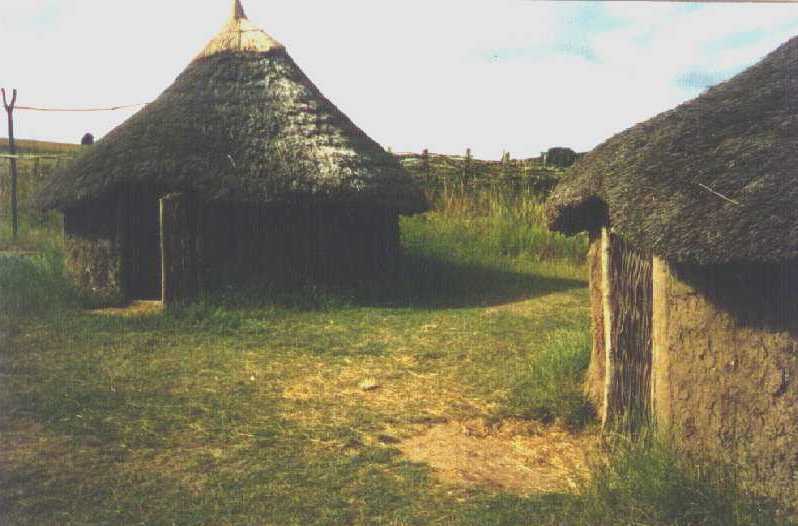 Merchants would have arrived ready to locate suitable potteries with the hope of obtaining contracts to supply the Roman army. 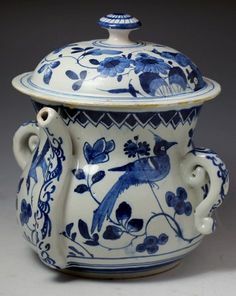 In some instances however the actual legions or auxileries seem to have undertaken or directly supervised the production of pottery in Britain. 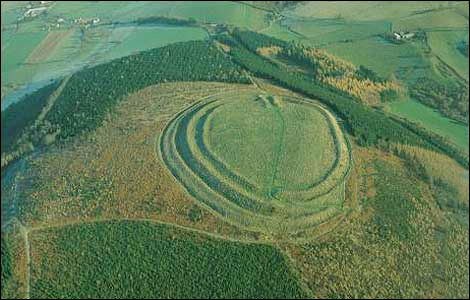 For example at Longthorpe (Peterborough), Brampton ( Cumbria ), Holt ( Clwyd ) and Grimscar ( Huddersfield ). 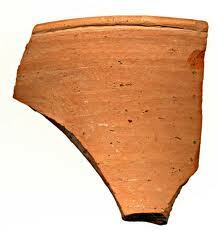 SAMIAN WARE is one of the most common, and easy to recognise pottery to be imported into Britain. It was manufactured in South Gaul France. 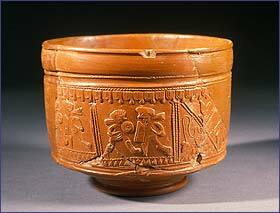 Samian wares flooded into Britain after 43 A.D. A distinct,glossy red-coated mass-produced table ware,often relief decorated. 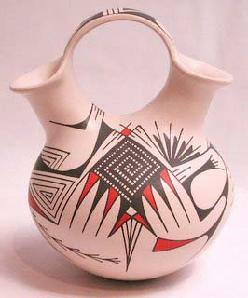 The fabric is red throughout the thickness of the vessel, with an external slip or glaze. 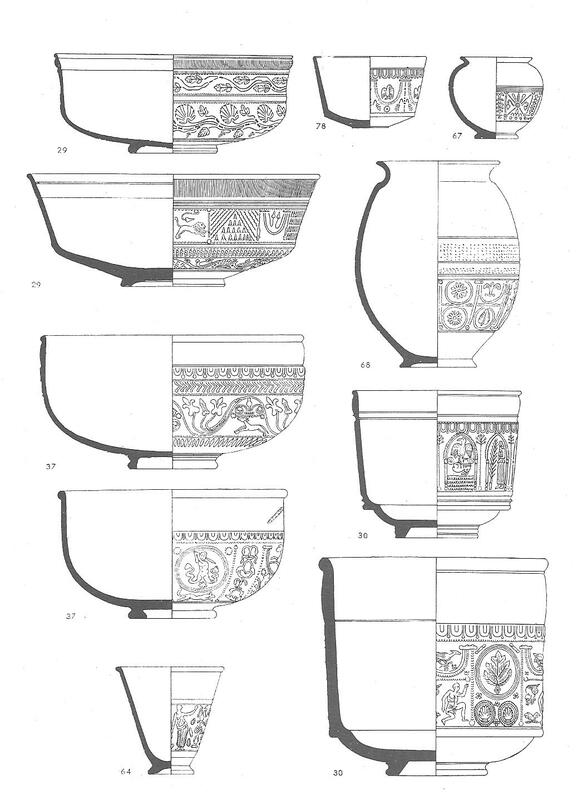 Other imitations of Samian Wares are generally only red because of an external slip or glaze,their interior will be a different colour when seen in cross- section.The Oxfordshire and The New Forest potters are two such factories producing imitation samian wares. 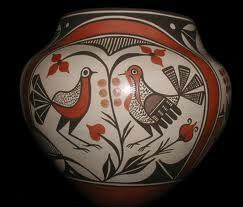 True Samian is red all the way through. 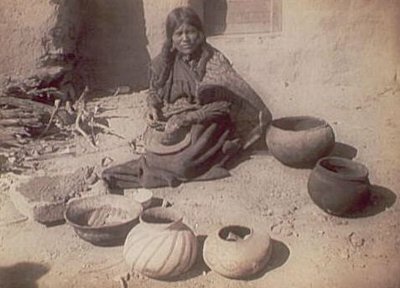 Cups,bowls,platters, jars even inkwells were produced. 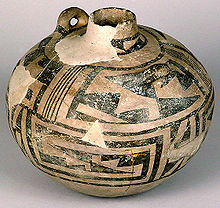 Both plain and decorated vessels often bear the name-stamp of the potters or workshops which help archaeologists to closely date the objects found. 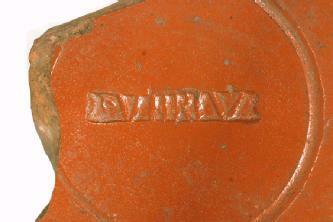 from Dragendorff 29, Stamp SVllRlV inside the base,the mark of the potter S VERIUS Made in Gaul (modern day France) and exported throughout the Empire. 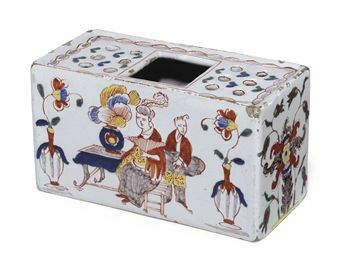 Courtesy The Museum of London. 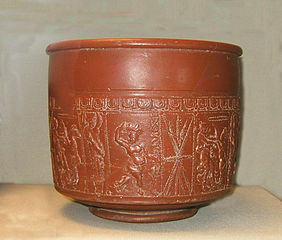 A central Gaulish Samian vase with the name of the potter DIVIXTUS in the decoration. 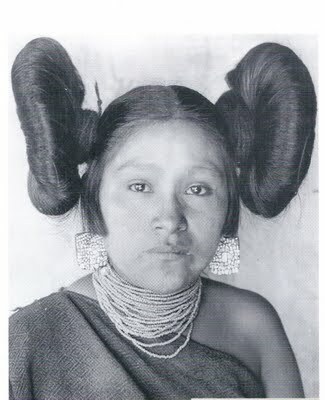 A.D. 150-190. 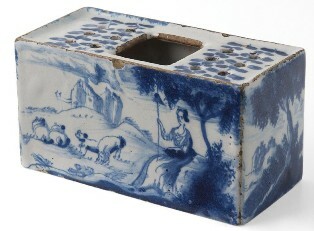 Courtesy The British Museum. (Source Wikipedia). 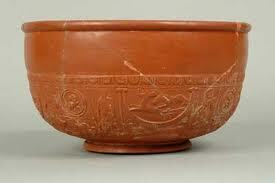 Samian ware bowl found at Wroxeter Shropshire. 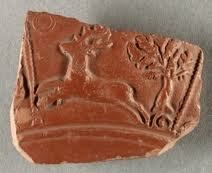 Samian Cup 1-2nd Century A.D.
Samian Ware Pottery Sherd 1st-2nd century A.D. 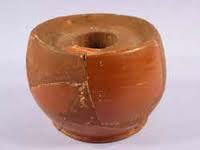 Although Samian ware (terra sigillata) is easy to recognise it is a vast subject for the beginner. Obviously it would take up far to much space on this blog. 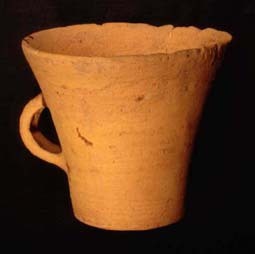 However, anyone studying Roman pottery should be able to aquire sufficient knowledge for basic fabric and form identification and dating fairly easy. 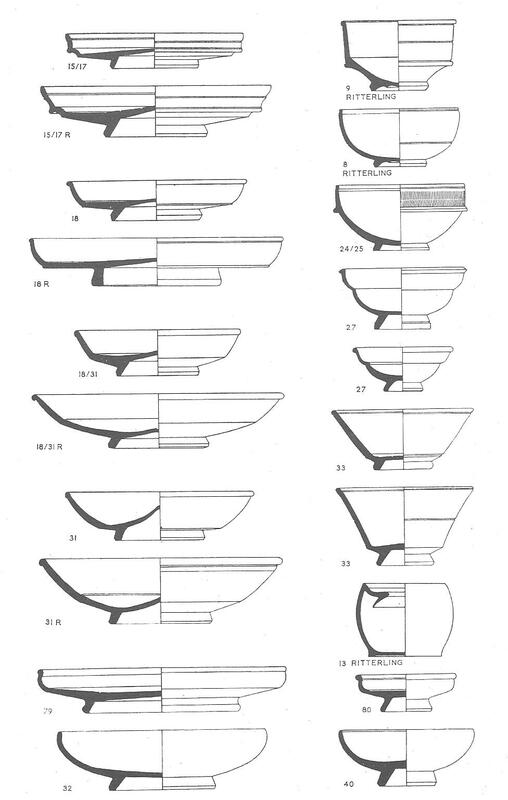 Below are a few illustrations of forms for you to study. 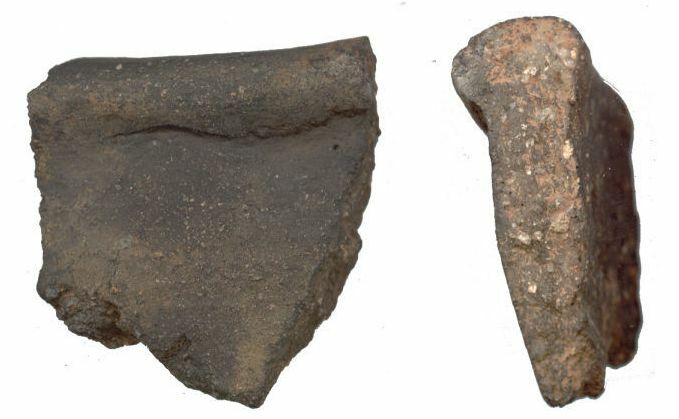 Nos 15/17 and 15/17r A dish with internal quarter-round moulding at the junction of the base and wall.There are two main types (a) with an almost upright wall,relatively shallow and (b) the form being a little deeper with rouletted circle both varieties are found throughout the 1st century. Nos 35-36 Cup and dish with curved rim ornamented with leaves Late 2nd century. No 45 Mortarium with lion head with small white grits Early 2nd century. No. 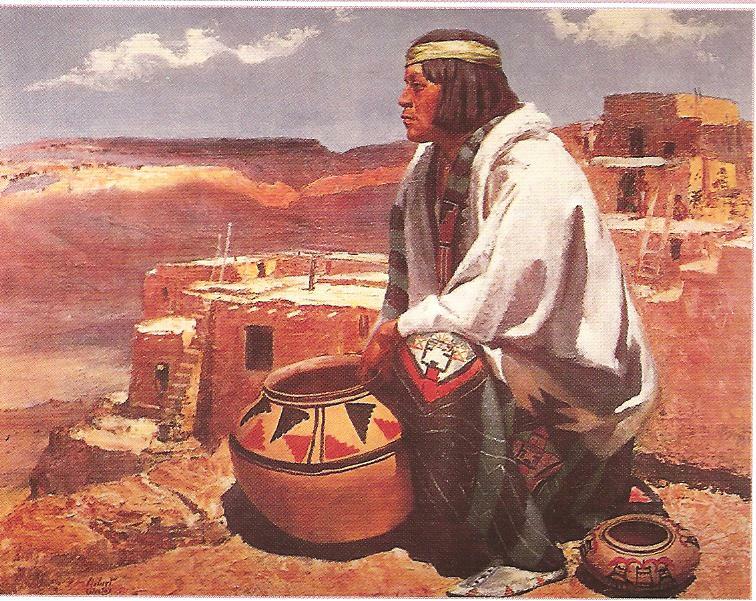 81 Wide mouth jar with everted rim. 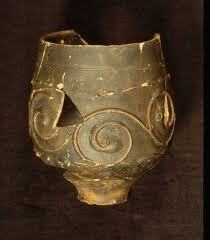 This was made at Lezoux under Hadrian. No. 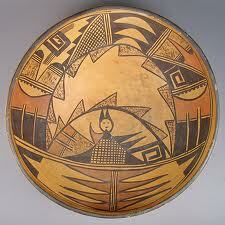 11 Hemispherical bowl with decorated flange. Ludvic TG and TX Dish and Cup. 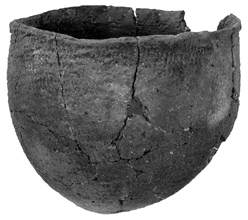 No 37 Hemispherical bowl with plain band below the beaded lip.The rest of the ornamentation can be varied but the main styles are (a) zonal, usually late 1st -early 2nd century and (b) continuous scroll ornament down the whole depth of the bowl,common in the late 1st century and the Antonine period. 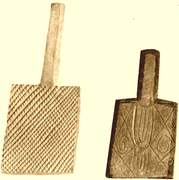 The popularity of Roman Samian Ware was such that in late lst to early 2nd century several factories in Southern England ( For example West Stowe, Suffolk) began to produce grey or black imitations of some Samian bowl forms,in fabrics like the Terra Nigra tradition with a polished surface and decorated with rouletting,impressed stamps,vertical incised lines and circles. 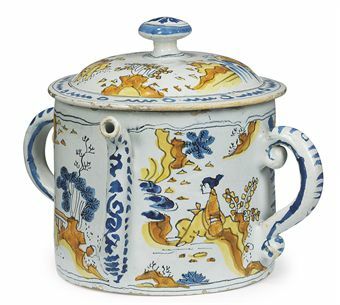 I will follow with one or two of the most popular named pottery wares of the Roman period which can be researched further if you so wish. Nene Valley Ware Hunt Cup Nene Valley Ware Cup. 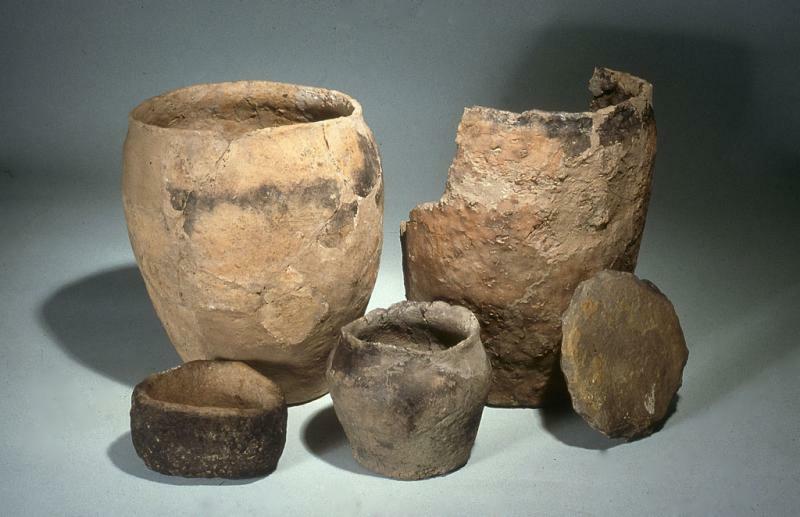 A range of orange or red-brown wares produced along the middle Severn Valley and distributed across western and northern Britain from the 2nd to 4th century A.D. 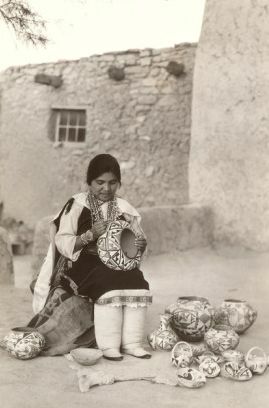 Storage jars were produced,bead rim jars bowls, and wide mouthed jars,tankards,flanged bowls,dishes and platters Surfaces were sometimes decorated with lenear or lattice zones. 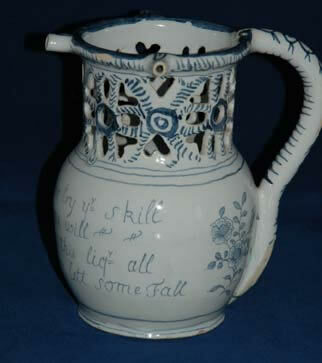 Manufactured at centres such as Shipton Mallet(Somerset) Perry Barr (Birmingham) and Gloucester area where it is called Glevam ware.Also a large factory nr Malvern (Worcestershire.) 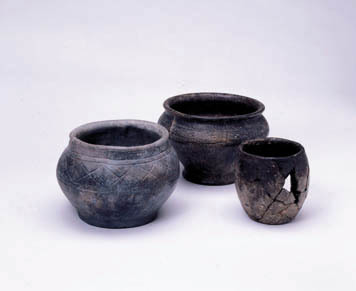 A small amount was supplied to turrets and milecastles on a sector of Hadrians wall from 2nd – 4th century A.D. and to garrisons in Scotland in the mid 2nd to early 3rd century A.D.
Below is a short list of other potteries in Britain during the Roman period. 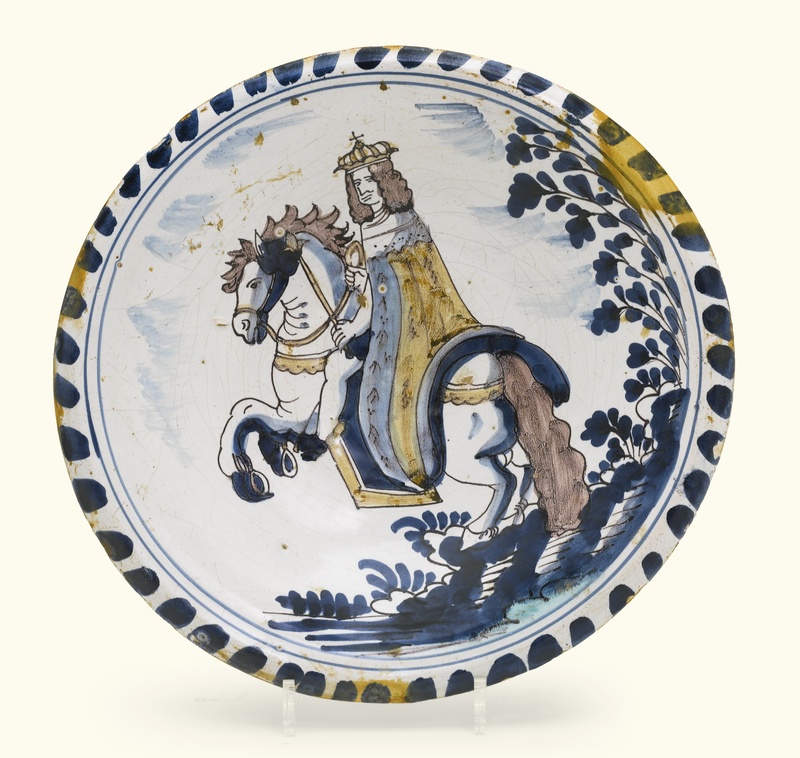 The well known fine colour- coated ,often hard table wares were clearly the most important products from the late 3rd to late 4th century. Distributed over much of England south of the Thames. 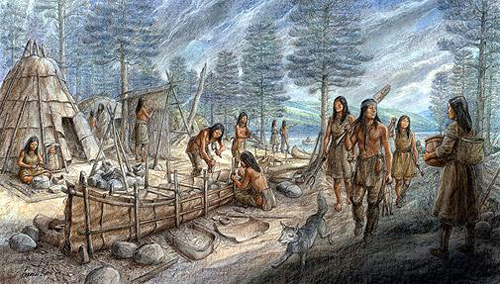 Fabrics varied from buff to grey and the colour coats from matt red to lustrous purple. 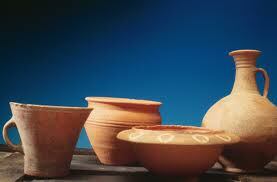 Vessels produced were beakers small bowls, and flagons were popular. 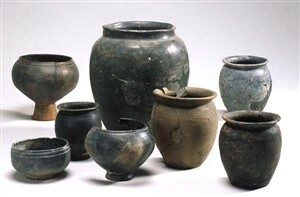 Black Burnished Wares consisting of bowls,jars,cook pots. 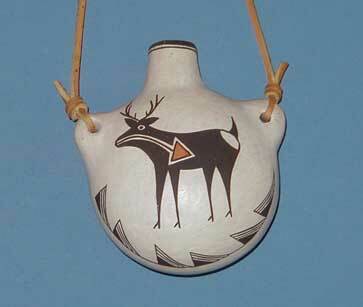 Illustration of decorated Black Burnished Ware. 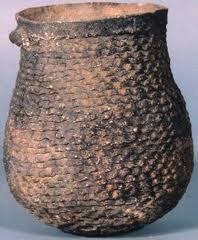 Pottery in Roman Britain is a vast subject. The information here should help the beginner sufficiently enough to encourage the study of Roman pottery further.There are several books to be obtained which can be bought on Amazon and other outlets. 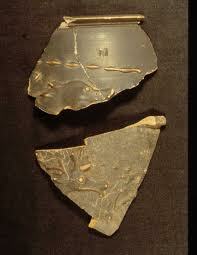 ( Pottery In Britain 4000BC to AD1900 A Guide to Identifying Pot sherds) is one such book. 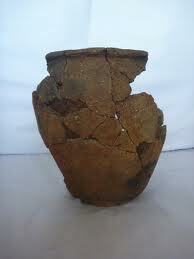 also ( Pottery in Roman Britain by the Author Guy De La Bedoyere) can be obtained from Shire Old House books.